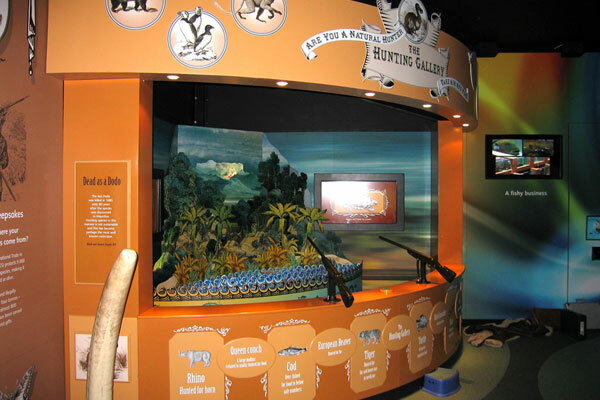 For museum and child orientated exhibits, interaction implies, of course, that an exhibit is touched, felt, used and explored and we know from experience how to produce robust reliable, scuff and wear proof finishes for almost any situation. Whether electronically or mechanically driven, sound operated, infra-red or person activated, we can design and produce from your ideas. Design for interaction is a special area in which we love to share ideas and innovations, from child centered interactives to automotive exhibition stands using new technologies. Partner companies can provide full exhibition LCD screen requirements and lighting specialists a range of solutions including hire of equipment.